will be an excellent fit for me! I was inspired to create my own bouquet on my card. I used my Mama Elephant Sketched Flowers stamp set to create my card. I stamped the flowers in versamark and heat embossed them in white. before heating it each time. I coloured them in with a paintbrush, water and ink pressed onto my acrylic block. Congratulations! It's a very sweet card. CONGRATS Leigh - well deserved and your bouquet is gorgeous - will have to take a look at this challenge as it's a new one for me! You are perfect for this challenge Leigh. Love your soft, gorgeous card! I look forward to playing with you on this design team. Your card for this week is super pretty! This is so pretty and fresh, Leigh! I am delighted that you applied! Welcome to the team! Congratulations Leigh!! Your wedding card is so sweet and airy I love it!! Congrats Leigh!! Love the soft colors on your card, gorgeous! So pretty and elegant Leigh. Love the soft colors with the heat embossed images. Congratulations, Leigh! That is awesome! And what a beautiful card! Love the embossing and love the soft watercolors! Hooray!! Congratulations on your exciting news!!! So happy for you!!! And this is such a beautiful wedding card! Love your take on the inspiration photo!! Congratulations, Leigh! Love the pinks and cool green in this card. Your lovely style makes you a perfect choice for a DT member! Congrats on your new design team! Your cards (like this one!) are gorgeous....you are a great addition to the team! Congratulations! Love your gorgeous cards!!! So very well deserved! Congratulations! Congratulations on the new team. Your card is gorgeous. I love the soft colors. Congratulations, Leigh! I love your card, so soft and dreamy! Yay, so happy for you Leigh ~ congrats!! Your card is lovely, so soft and delicate! Congratulations!! What a pretty card. Congrats!! Look forward to seeing your creations. 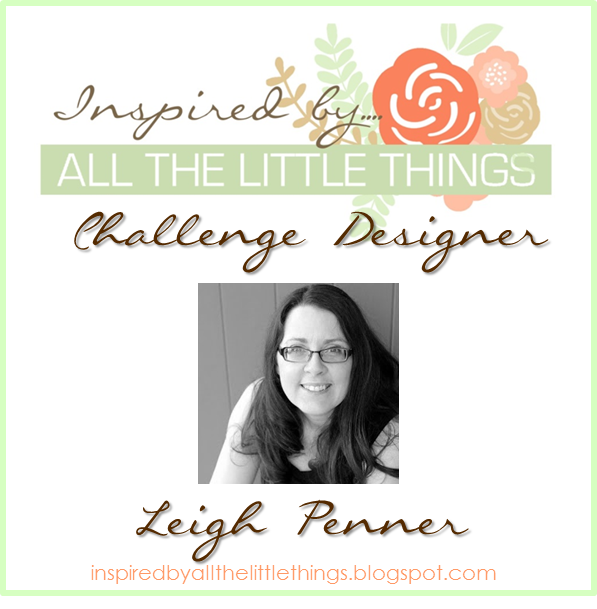 Leigh welcome to the Design Team! 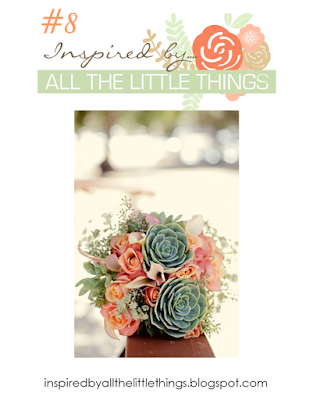 I love how you were inspired to create this lovely bouquet! Thank you for sharing with me for my succulent bouquet challenge at Inspired by All the Little Things! Congratulations!! A well deserved honor. Your card is stunning! I am going crazy for the white embossing with soft color applied. Beautiful! Congratulations, Leigh! Love your card ~ it's beautiful! Beautiful card, Leigh! Love the pretty soft design! So excited to be on another team with you! This is so soft and beautiful, Leigh! Congrats on your new gig! Lovely card!